All of the retro style of our diner chairs is available in our Mounted Counter stool line! 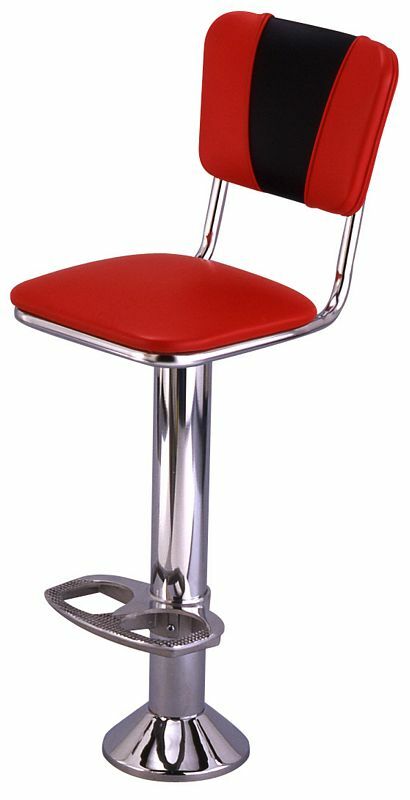 This is our diner chair frame with a 1" pulled seat on our sturdy, floor-mounted column. The back comes with an optional V-insert for a pop of contrast color.